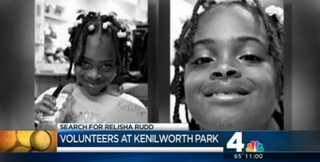 Eight-year-old Relisha Rudd was last seen March 1, 2014, in Washington, D.C. She was in the company of Kahlil Tatum, a janitor at the homeless shelter where she was living with her family, and who police say killed his wife and then himself. The second-grader’s case highlights hardships that homeless children endure at some shelters. Shamika Young, Relisha’s mother, has said that she frequently allowed her daughter to stay with Tatum and relatives to provide the child some relief from the unpleasant conditions at the shelter. But city officials, writes the Post, say the family may have neglected the girl, who had missed more than 30 days of school. Bowser and top city officials from the Metropolitan Police Department, the Department of Health and Human Services and the FBI gathered at the MPD’s headquarters in an effort to renew publicity for Relisha’s case. “Quite frankly, today she should be doing the things little girls do,” Bowser said, writes the Post. The FBI is offering a reward of up to $25,000 for information leading to Relisha’s whereabouts, notes the report.